Freedom takes various forms in our lives : personal freedom, freedom of movement, freedom of expression, and the list goes on . 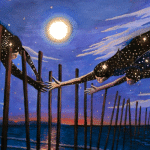 Sadly, for many children and adolescent migrants from Honduras , El Salvador and Guatemala – the Central American region known as the Northern Triangle – freedom is a dream, a story of something that exists far from the reality they live. The sub region in Central America known as the Northern Triangle. In 2014, the Northern Triangle graced the headlines of the international media as an unprecedented number of children who migrated without their families were apprehended in the United States and Mexico. They migrated for various reasons, but most fled from increasing violence and instability in their home country. The homicide rates in the countries of the Northern Triangle are among the highest in the world. 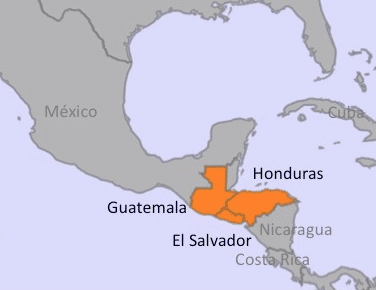 Honduras is the country with most homicides worldwide, reflecting the growing power of gangs and organized crime groups, as well as the strong presence of human trafficking and drug trafficking. Whether at home or on the move, all children and adolescents who are from or transiting through the Northern Triangle are vulnerable to violence, trafficking, extortion and forced recruitment by organized crime. Does the right to personal freedom exist? These children have been forced to leave their homes in search of safety in the US, Mexico and other countries in the region. However, instead of finding countries that receive them to provide support and protection, these children were put behind bars for not having the proper documents. Living in a closed environment further violates the rights that these children have access to: the right to play, go to school and basic shelter. For these children their dreams of a secure life became nightmares and anxiety. More than 51,000 unaccompanied children and adolescents from the Northern Triangle were arrested in the US in 2014; and in the same year in Mexico, nearly 23,000 children and adolescents were arrested and forced to return home to the Northern Triangle. Faced with this humanitarian crisis, the US government allocated more than 3,500 new spaces in detention centers for Central American migrant families; while Mexico increased and strengthened migration controls on the southern border, emphasising that the detention and return of children from Central America was to ‘protect them’. Locked in detention, often children do not have the opportunity to tell their stories and the arrest can trigger the already traumatic experiences that many of the children have lived through. Worse, they are often returned to the same situations of violence they fled. Every week, thousands of children and adolescents are returned to Honduras, El Salvador and Guatemala, where they do not have adequate support for their reintegration and to be safe and many are forced to flee again. Harsh immigration policies and border controls, previously employed by traditional “destination” countries have expanded, now also include Northern Triangle countries. Children are now at risk of being locked up in several countries along their journey. Consequently, children are taking increasingly dangerous and clandestine routes, making them even more invisible and vulnerable. No one country can deal with the issues of irregular migration, violence, poverty and national instability on its own. Finding a durable solution requires dialogue and coordinated efforts not only of governments but also of civil society and the communities of migrants in countries of destination, transit and origin. Despite the challenges of protecting the rights of children and adolescents in migration, one thing is certain: it is time to guarantee freedom for children and adolescents North Triangle. Tens of thousands of Honduran children are being detained in other countries in the region such as Mexico and the United States. Children in transit are at risk of becoming victims of violence, trafficking, and extortion and deprived of their liberty in places of immigration detention. 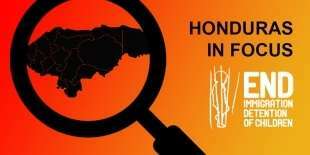 Read our Honduras country profile here. Due to its geographic location, children migrating north toward Mexico or the United States must pass through Guatemala. This includes children from the Northern Triangle countries as well as from countries in South America and even Asia. It’s estimated that 11.6 million migrants pass through Guatemala each year. 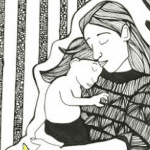 These movements include children who are at risk of being placed in immigration detention. Often Salvadoran children who migrate without the right documents are locked up in immigration detention in countries like Mexico and the United States. Additionally, El Salvador is a common migration route, with many children from other countries traveling through. It is also common for Hondurans and Nicaraguan children to enter El Salvador to work or seek medical attention. Some of them travel with their families and others migrate alone, but all children without proper documentation are at risk of being detained.